VS (Very Special) - A blend in which the youngest brandy is stored for at least two years in cask. VSOP (Very Superior Old Pale) or Reserve - The youngest brandy is stored for at least four years in a cask. XO (Extra Old) or Napoléon - The youngest brandy is stored for at least six years. However, the minimum storage age of the youngest brandy used in an XO blend will be increased to ten years in April 2018. The Napoleon designation, previously an unofficial term, will then be used to specifically denote those blends with a minimum age of six years that do not meet the revised XO definition. Got that? So, what does that really mean other than price points? Old Cognacs tend to be smoother with a more complex taste. 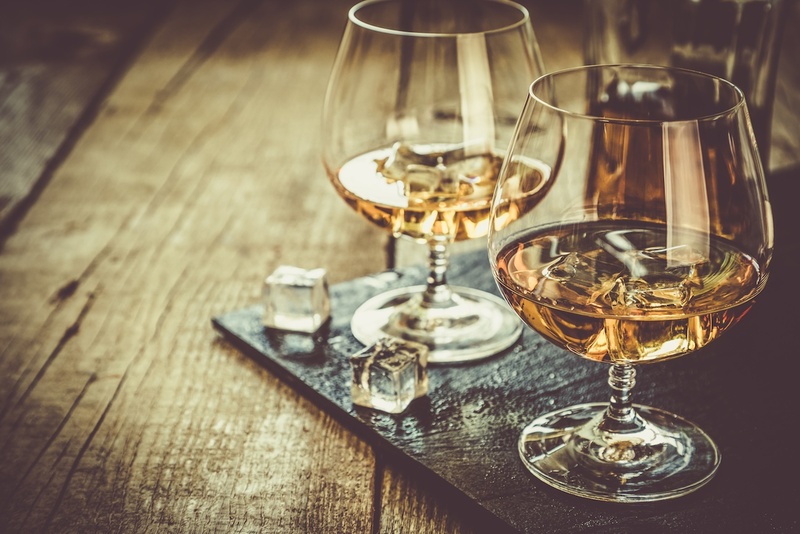 There are many fine Cognacs you've likely heard of, or may have tried, along with some you may not have had the chance to experience. We hope you'll give Cognac a chance this season. Not sure where to start? Check out a list to consider. Frapin V.S. An estate-produced Grand Champagne Cognac known for its refined, balanced taste, sweet aroma and silky smooth finish. Martell V.S. Very special is an appropriate term for this single distillery Cognac. Camus V.S.O.P. Elegance Elegance is a preferred Cognac, known for its hints of orange, pear, and apricot, with a touch of spice and vanilla. Courvoisier V.S.O.P. A classic Cognac with a look nearly of Bourbon. It's smooth and aromatic, with hints of apricots, vanilla, and caramel. D'USSE V.S.O.P. A bold, full-bodied blend with touches of cinnamon and floral notes, and wonderfully smooth. Hardy V.S.O.P. Aged for an average of eight years, Hardy produces quality Cognacs using traditional production methods. Hine V.S.O.P. Slightly sweet with a touch of brightness, and a cocktail friendly Cognac that bartenders are turning to as well. Hennessy X.O. Smooth, delicious and one of the most beloved Cognacs available for a reason. Rémy Martin X.O. You can't talk about Cognac without talking about Rémy Martin, and if you're going to have a Rémy Martin, sip on this. Rémy Martin Louis XIII This may not be in your price range today, but it's worth mentioning we have it available if you are interested. Produced by House of Rémy Martin, this rare Cognac is aged at least 40 years. Tasting notes and scents of myrrh, honey, immortelle, plum, honeysuckle, wood bark, leather and passion fruits. It's the ultimate Cognac experience.